With a Windows emulator for Mac, you can run software that is only compatible with Windows PCs on your Mac. For example, advanced features of the Microsoft Office suite may prove easier to access and use on a Windows computer. Whether by virtualization or emulation, we discuss the best options to emulate a PC on your Mac. A picture illustrating a Mac Windows Emulator. OS X Yosemite or Older Oversionson like Mavericks, Mountain Lion or Lion. Windows 32-bit or 62-bit installation CD/DVD or ISO image. Do you like getting into shape? Then, go to a boot camp. However, this native application for Mac allows you to install the Windows operating system on your MacBook. However, you keep all the MacBook brightness, trackpad functions etc. Moreover, it supports dual booting. Once the installation completes, you can select which OS to boot by pressing the options key at startup. For an easy and quick way to access Windows, try VMware Fusion. There’s no need to reboot the Mac OS. The program sells for $34.95. Also, if running Windows software is all you need, CrossOver is another good application. Any Windows application run through CrossOver gains native Mac OS X functionality such as Mission Control, keyboard shortcuts, and copy & paste. 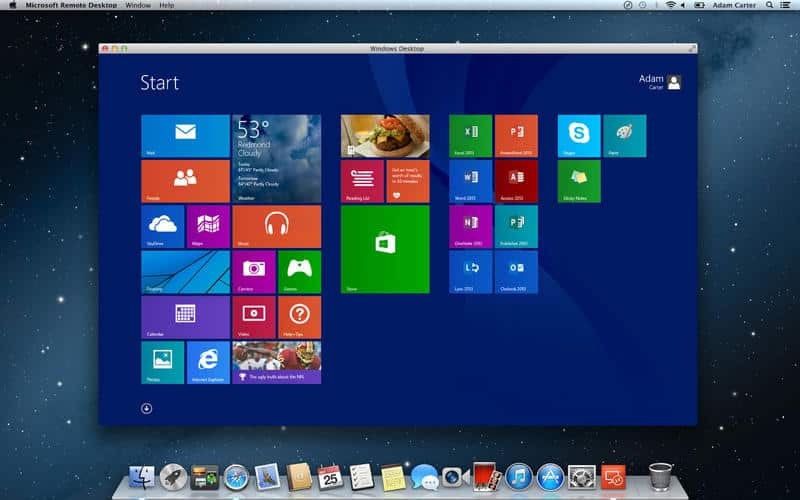 With Virtual PC for Mac, you can access Windows system based software, networks and share files with other PC users. It is a Microsoft developed program. And, then, there’s WinOnX. Unlike other programs on the list, this application does not require a Windows license for the Windows installation. However, to use it, you need OS X 10.6 and later. There’s also the Citrix XenApp that lets you access any type of application on any device. It stores the applications in a database which then uses the Citrix application virtualization to emulate Windows. Hence, you can use this app even without an internet connection. However, for older versions of Mac OS, like Snow leopard to OS X 10.10 Yosemite, Wineskin Winery is the software of choice. It’s also free to use. VirtualBox is free to use and open source. It’s a virtualization software for enterprise and home users. It creates virtual machines for Windows OS and Linux like operating systems. Wine Bottler. It lets you run Windows apps and other services without installing the complete Windows OS on your Mac.